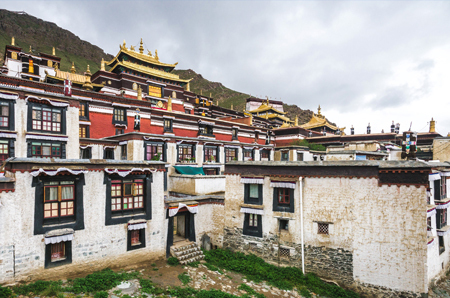 Saga Dawa is an important Tibetan Buddhist festival, held each year on the full moon day of the fourth lunar month of the Tibetan calendar, to celebrate Sakyamuni ‘s enlightenment.” , that’s what every guidebook will tell you. But actually having been there, at that moment it is more like being part of a magic event, something that gets a total grip on all of your senses. So what’s going on? 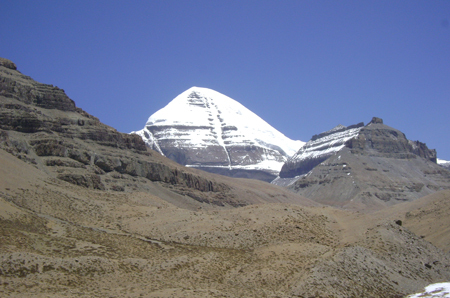 Each year, they replace the Tarboche flagpole, a huge pole that stands round of Kailash. People from all over Tibet gather here that day to attach their prayer flags they brought from home, to pray, and to help erect the flagpole. The flagpole should stand perfectly upright, or else things are not good for Tibet. A Lama leads the whole ceremony from the nearby monastery. It’s his job to make it work ‘right first time’. The Day of Saga Dawa Festival : People circulate the flagpole that is down on the ground now. They pray and throw ‘wind horses’ (little pieces of colored paper with Buddhist scriptures on them) into the air. 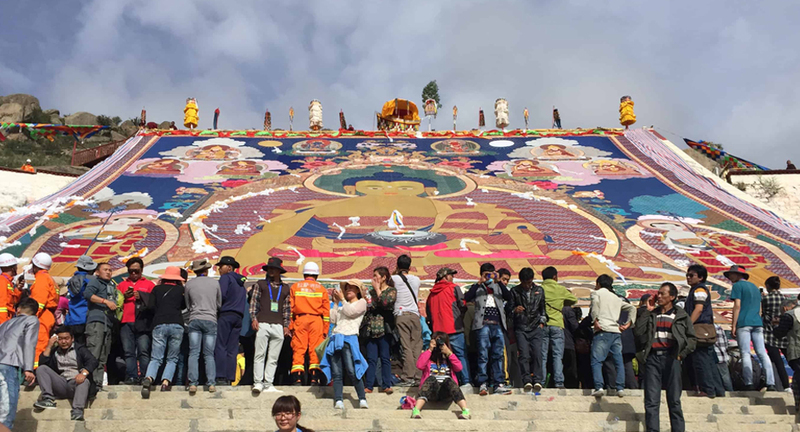 They help to remove last year’s prayer flags and attach new ones. As a visitor you are almost forced to follow them as they go around and around, time after time. Along the sides, on the slope of the nearby hills, a lot of people are sitting to watch the ‘spectacle’ and there are musicians, which play all the time on their horns and symbols. The flagpole is first erected halfway, using A-structures and ropes. The Lama continually gives instructions on how to do it, when to stop and when to go on. Everyone can help pulling the ropes, that’s the ‘non-organized’ part of it, but there are always plenty of people doing this spontaneously. When they cannot go further using the A-structures, they pause for about half an hour. The Lama sits on the side, and all the time people come to sit in front of them, to talk to him, to give him some gift (mostly some drink! ), to ask him for good fortune. They do not ‘queue’ however, as soon as someone is gone, someone else comes out of the walking crowds – it all seems not organized, but in fact it’s a very special way of organization! Then comes the final part, the last step that has to result in the perfect upright position of the flagpole. A steel cable is attached to two trucks, engines are warmed up, and then, on the sign of the Lama, and they go backward, pulling the flagpole. To be able to control the movement, on both sides of the flagpole people pull ropes too, to prevent it doesn’t incline to one or the other direction. Once the trucks start moving, it all goes very fast, the flagpole is moving, the A-structures that were supporting it, fall down, and only seconds later it is all over. And then big magic occurs, the flagpole stands upright, and at that very moment, thousands of wind horses fly into the sky… like an explosion of prayers going to the heavens. You can really feel a sudden great sense of happiness surrounding you. The Saga Dawa festival has been held here for the last thousand years… Having been part just once is such a powerful experience. We pick you up at airport and transfer you to hotel./ Overnight at hotel. Half day sightseeing around Kathmandu. Day 03: Drive to Kodari boarder. Cross friendship bridge and drive to Nyalam for Distance158km, Altitude 3700m / Overnight at Guest house. Day 04: Rest at Nyalam for acclimatization. Day 05: Drive to New Dongba . Distance 356km, Altitude 4600m Overnight at Guest house . 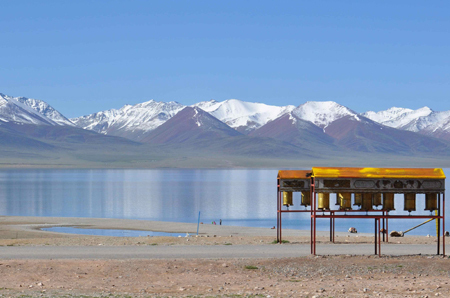 Day 06: Drive to Manasarovar. Distance 280km, Altitude 4588m Overnight at Guest house . Distance 45km, Altitude 4700m/ Overnight at Guest house . Explore Saga Dawa Festival at Tarboche. Trek to Derak puk Distance 20km,Time 6hours, Altitude 4900m / Overnight Guest house. Trek to Zutual puk 18km Time 7-8 hours and drive to Manasarovar, Alittude 4700m Overnight at Guest house . Trek to Darchen 14km, Time 3-4hours and drive to Drongba Distance 380km Altitude 4450m Overnight at Guest house. Drive to Nyalam Overnight at Guest house. Drive back to Kodari boarder (Nepal-China boarder) and drive to Kathmandu / Ovenight at Hotel. All accommodation standard hotels and Guest House on Twin Saring Basic with Breakfast. Kathmandu sightseeing with city tour guide. International & Domestic Flight Flight. 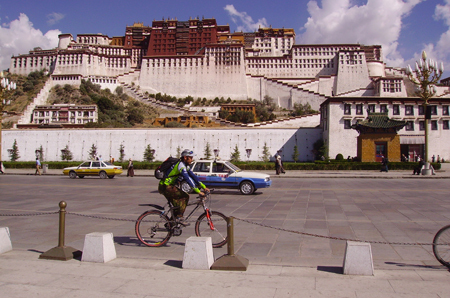 Tibet Visa fees apply in kathmandu. services other them mentioned above.